Boating is a fun recreational and sporting activity for people of all ages. With three converging rivers, Pittsburgh is number two in the United States for the number of registered boaters. Thousands of people take to the water to boat, ride jet skis, waterski, tube, or participate in a wide variety of other water sporting activities. Unfortunately, while most people expect an enjoyable outing, boating and water-sports come with the risk of accidents and injuries. Sometimes a boat accident is simply that—an accident. However, many boat accidents occur because another person acted in a negligent manner. All boat drivers have a duty to operate their watercraft in a reasonably safe manner to avoid injury to other parties. When a boat driver fails to do so and causes an accident, he or she should be held liable for any resulting injuries or other losses. 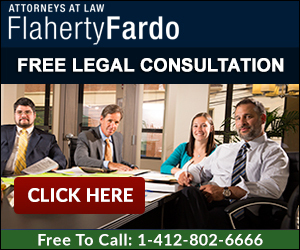 If you have suffered injury in a boat accident, you should always contact an experienced Pittsburgh boating accident attorney at the law offices of Flaherty Fardo to discuss how you can recover. Manufacturers that sell boats with defectively designed or assembled parts. Boat trips very often involve rowdy groups of people, loud music, and other distractions. When alcohol is added into the mix, the resulting accidents can be devastating. The United States Coast Guard reports that in 2009 alone, approximately 330 people suffered injuries and 120 people were killed in boat accidents that involved alcohol. Boating while under the influence is against the law, just like drunk driving is unlawful, and people who break the law and cause injury should be held responsible for their actions. Boating accident victims often go out on the water expecting a good time and then end up facing medical bills, long periods of recovery, missed work, pain and suffering, and more. If you have been injured, you deserve to be reimbursed by the liable party. Boat trips should be a fun and safe way for families and other groups to enjoy a day. If you or your child has suffered injury in a boating accident and you believe the accident was caused by another party’s negligence, you may be entitled to substantial compensation for your injuries and losses. The experienced personal injury lawyers at Flaherty Fardo are dedicated to helping all types of accident victims receive fair and proper compensation. We offer free legal consultations, so do not hesitate to call our office at 412-802-6666 for help.